A cruise is the BEST way to see Norway! Being on the water gives you a completely different perspective of the grandeur of the Fjords in Norway. 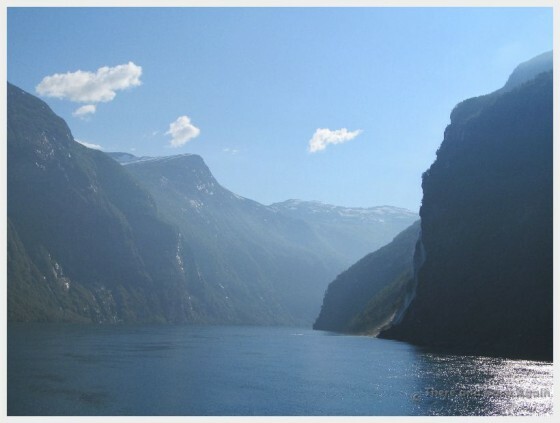 This photo was taken from the front of the Holland America Eurodam as we were leaving Geiranger Fjord. The weather had been cloudy all day, and the sun decided to make an appearance just in time for some spectacular photos from the deck.